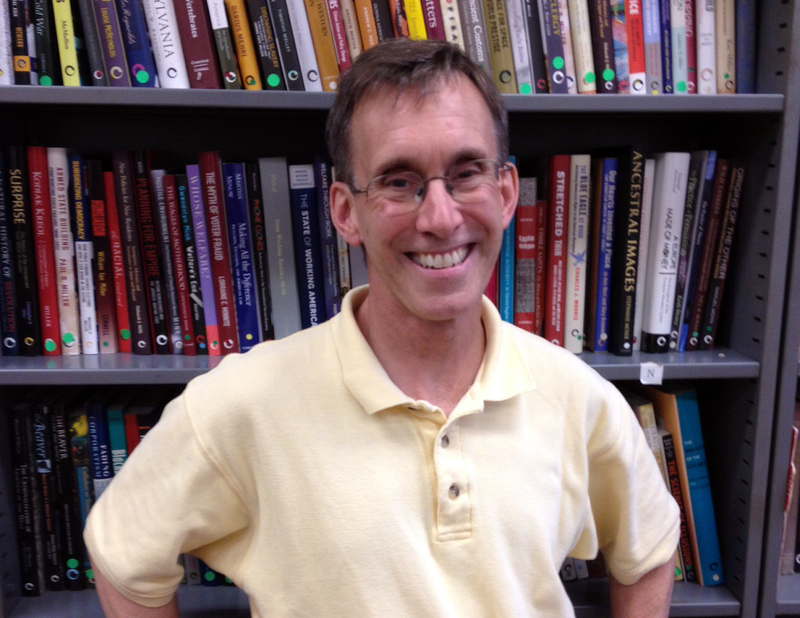 Jim Lance joined Cornell University Press this year as senior acquiring editor for anthropology and social science. A graduate of Haverford College, he earned a Master’s degree in International Affairs from Columbia University and a Ph.D. in African history from Stanford University. Lance came to Cornell from Kumarian Press, where he served as editor and publisher, acquiring books in comparative politics, international development, and globalization. Prior to that, he served as the African Studies Editor for Greenwood-Heinemann. Sage House: Your academic background was initially in international relations and African history. Can you tell us what led you to your new role as acquiring editor in anthropology at Cornell University Press? Jim Lance: Academia is a very critical profession. In publishing, although it’s necessarily critical, by and large the goal is to be supportive [of the author], and to make something. I really like that. For me, personally, the academy felt too hermetic, with people talking to each other and not talking to a broader community. And among university presses Cornell is definitely geared not only for the academic community, but toward other purposes and missions. SH: What’s the broader purpose or mission of Cornell University Press as you see it? JL: I think there’s a definite sense of social justice at Cornell. ILR Press is obviously the most visible presence, but Roger Haydon’s books, many of them, have a component that asks, “What does this mean for society as a whole?” Michael [McGandy]’s and certainly Kitty [Liu]’s books as well. There’s a sense that these books are bigger than the book itself; they’re about what kind of society we want to live in. One thing I want to do with our anthropology list is acquire books on public anthropology and applied anthropology. My life as a scholar and editor has been geared toward the question: How do you apply knowledge in a way that makes the world a better place? SH: Is that a mission statement? JL: I want to acquire books that go beyond the academy and have a socially redeeming purpose, books that appeal to a broad group of people who are thinking about their place in the world and how to make it better. So yes, that’s my mission. SH: What about your specific goals for [the 2015 American Anthropological Association meeting]? JL: It’s my coming-out party as a Cornell editor! I’ll be working with Fran Benson [editorial director of ILR Press], and one of our goals is for people to get to know me and, as much as possible, for me to outline what I’ve just talked about. And to see old friends and make new ones. SH: Anything you’re excited about in addition to public/applied anthro? I’ve been looking through your Twitter feed and you talk about everything: sports, music, literature, pop culture . . .
JL: One thing I love about anthropology is that it tries to connect all these things. I’m personally interested in everything, and I want to get books from people who are looking at the world and how their work applies to the big picture. I like scholars with a quirky perspective: independent people who have mastered the scholarship in their discipline but have not become slaves to it. They’re free thinkers; they’re willing to express themselves in plain language, and also to question the knowledge they’ve received. SH: Are there authors or books you can point to as illustrative of that? JL: I think anthropology can be great literature, so I always read it for the quality of the writing. One book that exemplifies that to me is Carolyn Nordstrom’s A Different Kind of War Story. It looks at conflict in Mozambique. She writes in a very passionate, evocative way that is fairly unusual in academic writing. That’s the kind of book I’m also looking for. Good literature [occurs] when the author is not afraid to take some risks with her writing. I also want to explore key questions and topics that are affecting society in the United States and Europe. I’m interested in acquiring books that are closer to home. How can anthropology help us understand our own society? SH: Finally, what brought you to anthropology? Your Master’s degree is in IR and your Ph.D. is in African history. JL: African history is heavily influenced by anthropology. I lived for a total of two years in a community in northern Ghana, doing the same kind of fieldwork that one typically associates with anthropology. I had first gone to Columbia, thinking I’d be interested in development as a career. I did a brief stint at a UN agency in Nairobi, and that really convinced me of the shallow appreciation of African history and Africa that too many people, especially those in the US, have. That’s when I decided I wanted to go back to school for more focused graduate training in African history. I’ve always been interested in hearing the other side. SH: Do you have any publishing interest in Africa now? JL: I want to prudently expand the Cornell list into areas, Africa included, that I think are not as prominent as they could be. So three things: the applied, public emphasis; branching out to texts on Africa, Latin America, and South Asia; and then finally I would really like to get authors from parts of the world other than Europe and North America. I want to internationalize the author list. Jim Lance is Senior Editor in Anthropology and Social Science. Follow him on Twitter at @jimlance554.